I bought a Mac Pro computer along with a 30-inch Cinema Display in January 2008. I’ve upgraded it numerous times over my years of ownership, adding more memory, a larger hard drive, more USB ports and countless software upgrades. Is been a real workhorse for me. But six years is an awfully long time for a computer. I think of it like a car with over 100,000 miles that still runs pretty well. Although the car may be just fine today, you’re thinking that the next repair bill could be a very expensive one — the kind where you might conclude it’s not worth putting any additional money into the aging vehicle. In June 2012, Apple CEO Tim Cook made reference to their somewhat neglected Mac Pro owners. He said in an email, “…we’re working on something really great for later next year (2013).” That was good news. But since it would be a while until Apple’s specific Mac Pro plans were unveiled, I decided to do one more upgrade to my Mac Pro: I replaced the main hard drive with solid state mechanism (SSD), moving the OS X operating system and all my applications to it. The old hard drive still retained my home folder of documents, music, videos, etc. 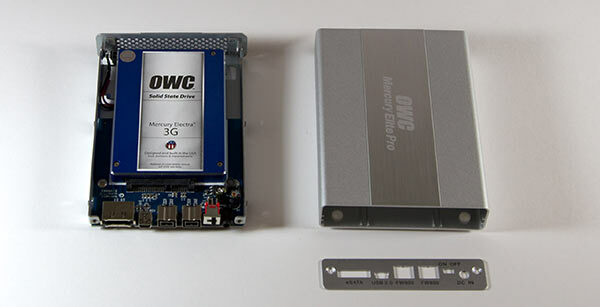 The balance of a fast solid state start-up drive coupled with a higher capacity spinning storage drive, would boost performance and thereby extend my computer’s useful life. The verdict? After the SSD upgrade, my aging Mac Pro computer was noticeably faster and I was able to successfully delay replacing it for over a year. I wrote a blog post describing my upgrade experience. A year after Tim Cook’s foreshadowing email message, the radically redesigned Mac Pro was announced at WWDC in June 2013. It would be smaller, faster, and cooler — both in temperature and design! It would be available for sale by the end of 2013. No pricing was announced at that time. Finally, in December 2013, two base models were announced with starting prices of $2,999 and $3,999. The new Mac Pro would indeed be a very powerful computer. However, a fully configured system would turn out to be an considerable investment. Because of the Mac Pro’s cost, I started to think about purchasing a new 27-inch iMac instead. These were two distinctly different hardware designs. The iMac is an all-in-one machine: display, computer, and main storage all in one very thin unit. The new Mac Pro is a beautifully designed space-age cylinder. However, unlike its predecessor, the main storage is designed to be outside the cylinder, tethered by high-speed Thunderbolt technology. Its only internal storage uses very fast solid state flash memory, but maxes out at only 1 TB. It’s really designed just to hold just the OS X operating system and applications. Would a top-of-the-line iMac be fast enough for me? Would there be a noticeable speed boost compared to my older, yet still adequate Mac Pro? A 27-inch iMac display would be 10% smaller than my 30-inch Cinema Display. Would I miss the extra size? Is a new Mac Pro worth the added investment based on my current/future needs? Decision: After careful consideration I decided that a new Mac Pro wasn’t worth the higher cost compared to a top-of-the-line 27-inch iMac. The iMac took about a week to be built and delivered from Apple. I had them running side by side in just a few minutes. Removed the startup SSD from my old Mac Pro. Installed it in a OWC Mercury Elite Pro mini Quad Interface Enclosure Kit. Connects with USB 2.0. Removed the hard drive containing my home folder. Installed it in a OWC Mercury Elite Pro Enclosure Kit. Connects with Thunderbolt. Now both the previous Startup and Home folder drives are housed in two external cases. This makes it possible for me to quickly access any file or application from my old Mac Pro. Re-downloaded and installed apps directly from the Apple App Store. Copied non-App Store applications from the SSD external drive. Installed Microsoft Office from its original DVD. Downloaded most recent updates. Downloaded and installed the latest Adobe Creative Cloud applications. Copied my library of fonts. Set up Time Machine for local backup, using a new LaCie d2 USB USB 3.0 Thunderbolt 4TB External Hard Drive. Transferred my Backblaze Backup State to the new machine, providing continuous off-site backup to the Cloud. It took about a day to finish syncing from the new machine. Q. Would a top-of-the-line iMac be fast enough for me? A. Yes. After several week’s use, the iMac is plenty fast enough for even my most demanding tasks. Q. Would there be a noticeable speed boost compared to my older, yet still adequate Mac Pro? A. Yes. It’s definitely faster than my 6-year-old Mac Pro. Even faster than I had hoped. Q. 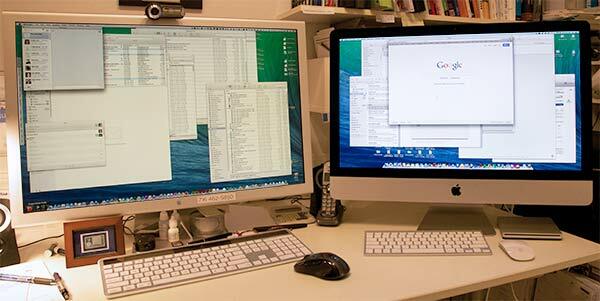 A 27-inch iMac display would be 10% smaller than my 30-inch Cinema Display. Would I miss the extra size? A. No. Although a bit smaller than what I was using, the iMac display is a great size. Q. Would a new Mac Pro be worth the added investment based on my current/future needs? A. No. I believe the 27-inch iMac is perfect for my needs. A new Mac Pro is not worth the added cost — for me. Cooler Office Temperature. My office is noticeably cooler! I never realized how much heat my Mac Pro and 30-inch Cinema Display generated! I live in Buffalo, NY and it’s January. I had to literally go out and purchase a small space heater for my office! The good news is my air conditioning demands should be considerably lower in the warm summer months. Lower Power Consumption. The reduced power demands should decrease my electric bill, even with the addition of a small space heater. Quieter Ambient Office Sound. The iMac is nearly silent compared to my Mac Pro. 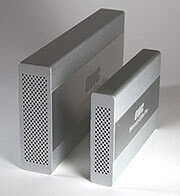 The only sound I hear is the external LaCie drive periodically doing my Time Machine backup. More Office Space. The computer, display, cables, power cords, etc. are either smaller or eliminated. I got rid of my external audio speakers, too. I’m really enjoying my extra desk and floor space. Better Quality Screen. The iMac screen is brighter and has truer colors than my aging 30-inch Cinema Display. That was a nice surprise. Although the new Mac Pro is a very powerful computer, the price performance investment was not necessary for my current and anticipated computing needs. I’m extremely happy with my decision to replace my Mac Pro with a new iMac. I currently have 2006 MacBook Pro. I would like to upgrade (buy new laptop) sometime in 2014. With the bulk of my software dedicated towards Graphic design should I wait until a new MacBook Pro release in October? Hi Jeffro! Sure do remember our times at TCP in the 90s! Your question is a good one. I’d say that today’s version of the MacBook Pro is WAY more powerful than your 2006 model. You’d gain a really big productivity benefit if you upgrade now. Of course it will even better with the next hardware rev, but I think I’d pull the trigger now if your budget allows. Keep me posted! As the Very Happy Owner of a Mac Pro Early 2008 I’ve been following your thoughts re. speeding the old Mac, and, now, purchasing the iMac. Curious if you are still happy with your iMac purchase. Having never owned an iMac (and probably looking down on prior iMacs) just curious about your experience. I’m VERY happy with my iMac purchase. It’s plenty fast for all I’m doing with it. The Fusion drive seems to perform on par with my previous SSD in my older Mac Pro. No regrets at all with my purchase. Thanks! Appreciate your iMac vs. Mac Pro early 2008 thoughts! Guess my next Mac is an iMac!